On grandfather clock house calls inspect all parts of operation. Remove dirt and oil. Installation of new bushings, main springs, suspension spring replacements and other parts as needed. In shop cleaning, bench testing, timing and polishing of pivots on a watchmaker's lathe. 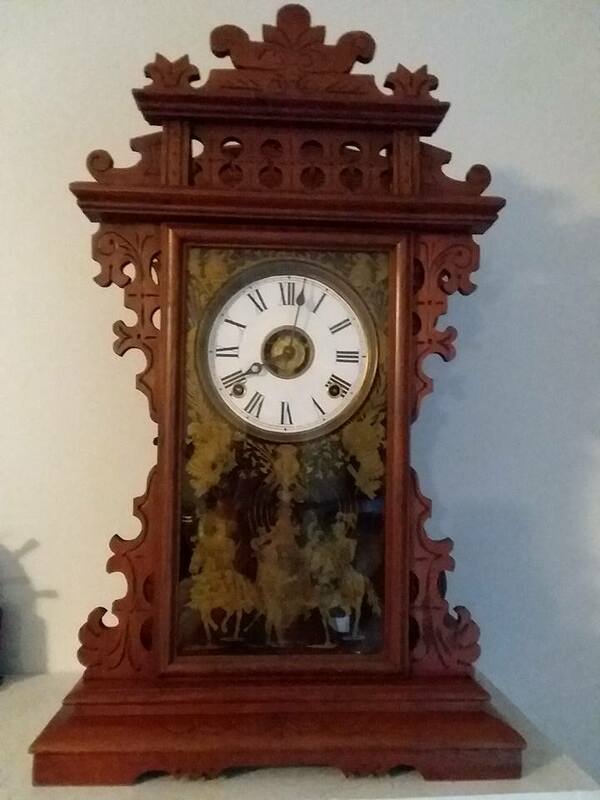 Cleaning and polishing of wooden clock cases and repair of broken cases. 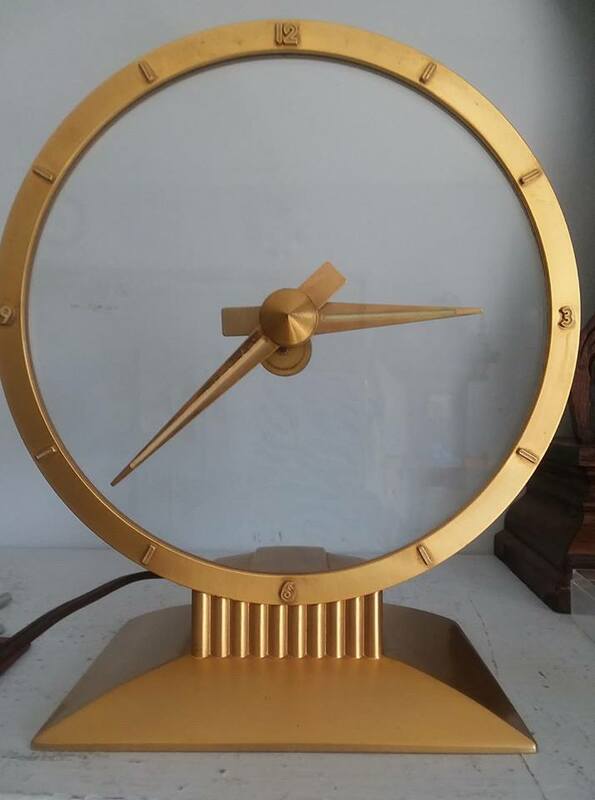 Replacement of clock movements (if needed) on mechanical, cuckoo and quartz clocks. Guide and instruct in the operation and maintenance on all clocks serviced. As a horologist I take pleasure in restoring timepieces for future generations. Laura Shepherd got her start repairing typewriters in the early 1980s. Her passion for troubleshooting and fixing typewriters led her to Xerox Corporation for the next 19 years. 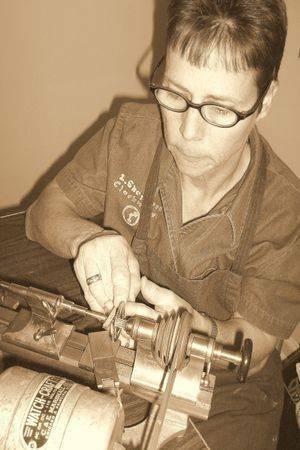 After retiring from Xerox, Laura decided that she was not done using her mechanical abilities, and she enrolled in the clock program at the NAWCC (National Association of Watch and Clock Collectors) school of horology in Pennsylvania and graduated in 2008. Since then, she has repaired hundreds of clocks. 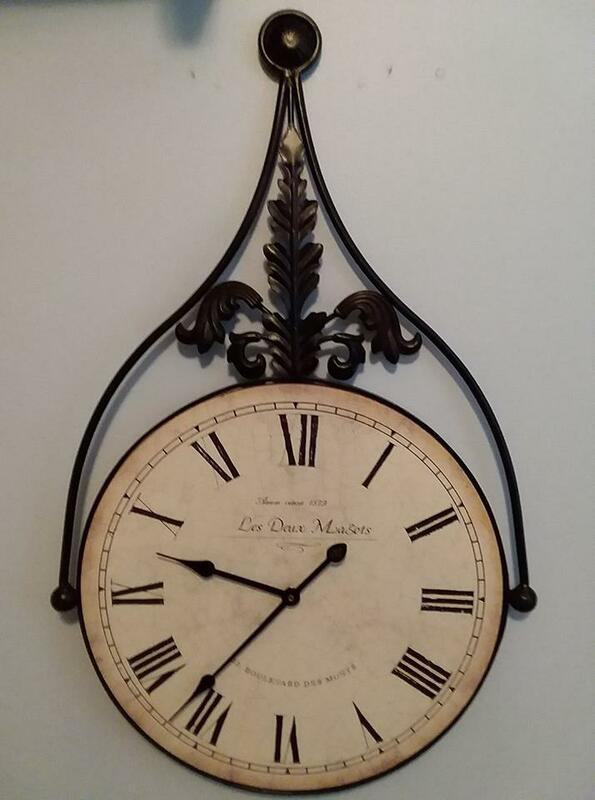 Her specialty is grandfather clocks, but her expertise extends to pendulum, cuckoo, antique and standard wall clocks. She has been servicing the Atlanta area since 2009. Laura feels clocks are works of art and carry memories and history with them. This shows a very loose balance wheel on the platform escapement on a Chelsea clock. It will only run when laying flat. When you stand it up it won't run due to the wobble at the top of the balance wheel. 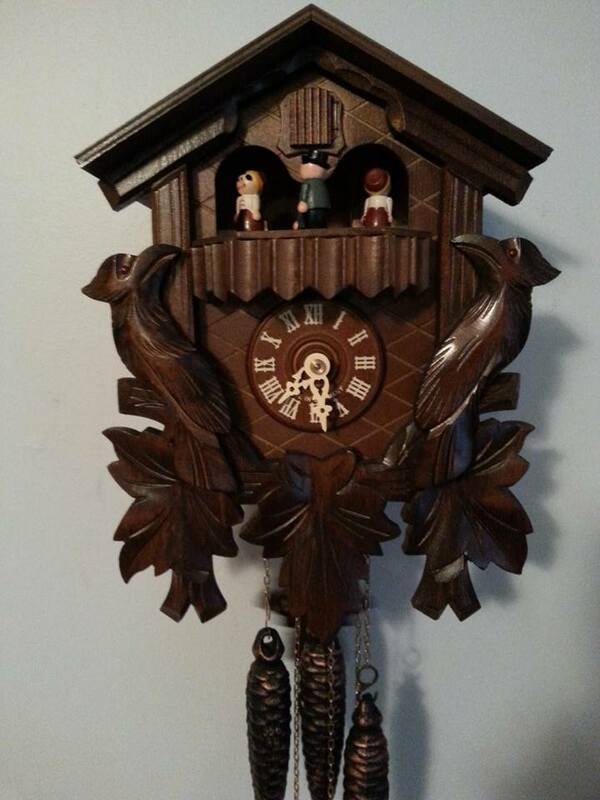 Clock with goat, woodchopper, paddlewheel and dancers. Here is my blinking eye owl clock. 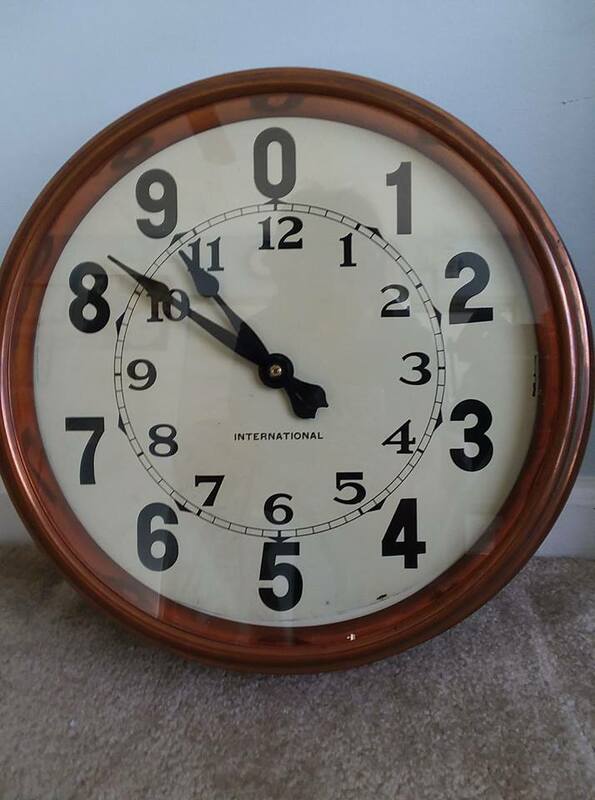 I bought it at an auction a few years back when I was going to clock school in Pennsylvania. Laura called me and walked me thru the troubleshooting of my issue. The issue was resolved without her coming out and without me transporting my grandfather clock to her. She was outstanding in servicing her customer which is hard to find anymore. I highly recommend using this company. After inspecting the clock, Laura determined that a bushing was required to make the clock run correctly for a long life. The stabilizers were replaced along with an overhaul. 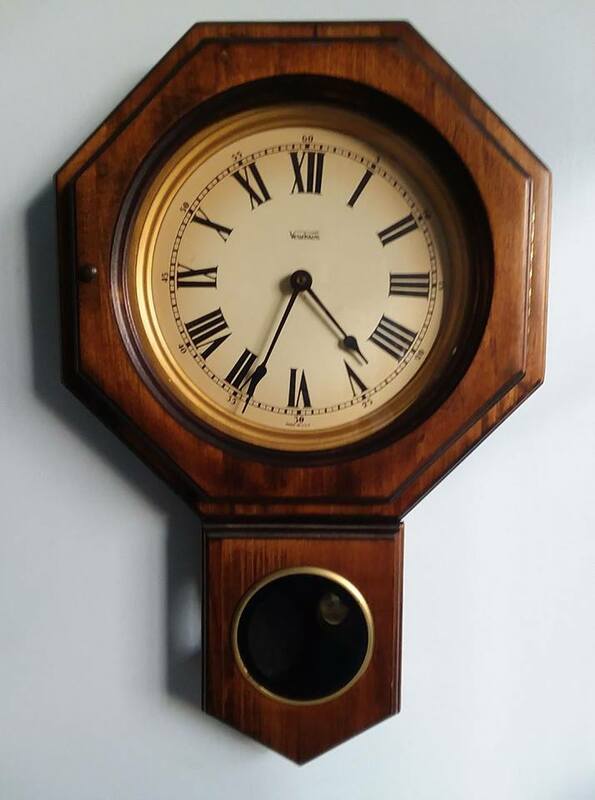 The clock and case were cleaned as well. It looks and runs great! I am very happy with the work. 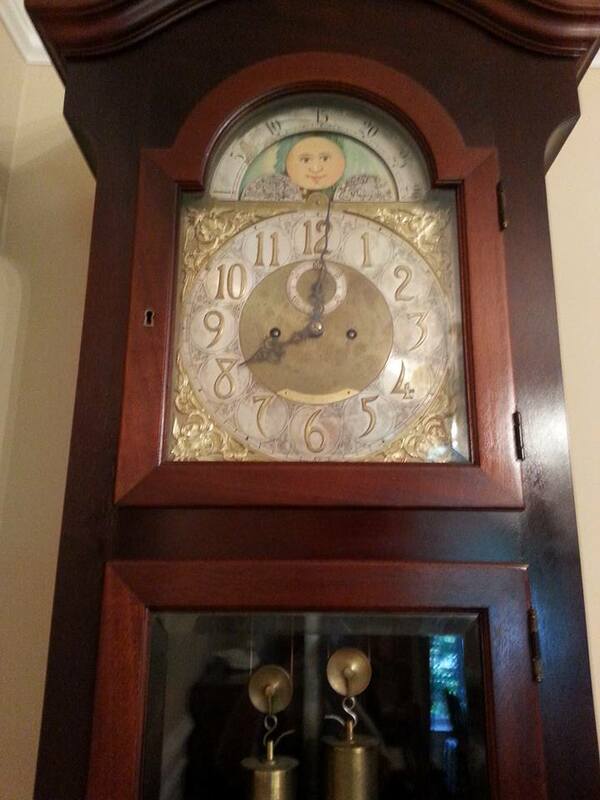 Laura did a great cleaning and overhauling my Seth Thomas grandfather clock. She was very professional and respectful when in my home. You can tell that Laura takes great pride in her work. The clock is running great. We received a one-year warranty for the work. We expect to have Laura perform the maintenance on the clock in the future. I highly recommend Laura. Click on the images below to view a larger version of each clock. We service the entire Atlanta area and offer onsite repairs, service and FREE estimates. Call for an appointment. Copyright 2017. 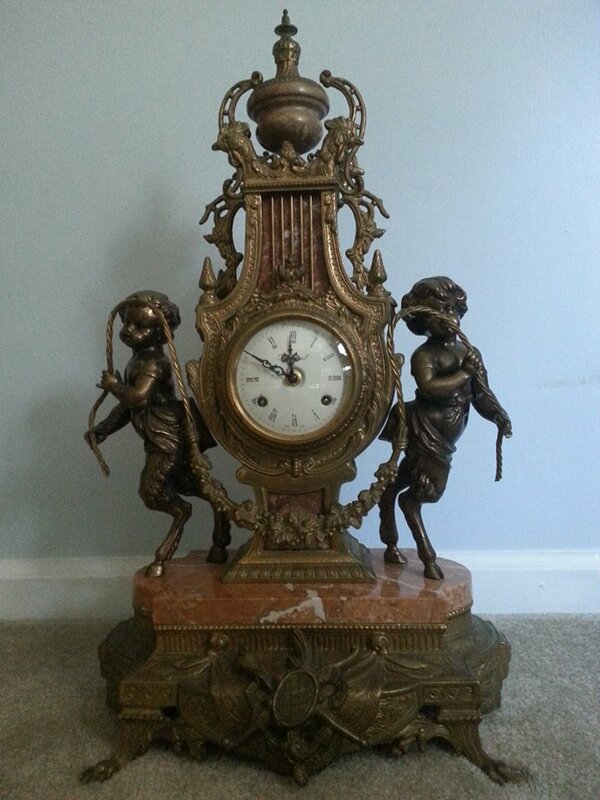 Atlanta Clock Services & Repair. All rights reserved.